Fresh Start carpet & Upholstery Cleaning is the company to choose for professional upholstery cleaning. We use truck mounted steam cleaning machines that deep clean your furniture and remove pet odor, pet stains, body oils, pet dander, pet hair as well as deeply embedded stains and dirt from your furniture. Our deep cleaning process utilizes steam that kills germs and removes allergy causing bacteria. We are a small veteran/family owned company that takes pride in our work we’ve been in business for over 18 years. 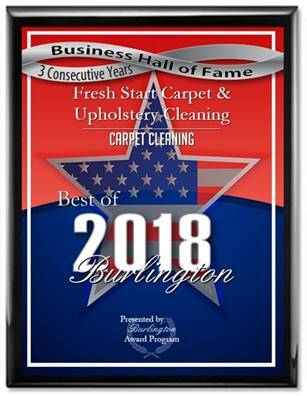 We’re the highest rated professional upholstery cleaning company in the South Jersey and Philadelphia areas and we have the online reviews to back it up!